HON Boda work chairs feature breathable mesh that looks cool and keeps you cool, at a cool price. This high-back task chair features a suspended mesh back with a mesh upholstered foam seat for maximum comfort. 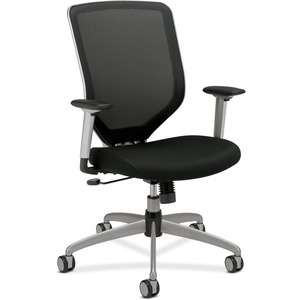 The 2-to-1 synchro-tilt motion provides a stable, comfortable recline, making it perfect for executive offices. Seat upholstery color is Black and back mesh color is Black.